Chinese developers are flocking to Iskandar Malaysia, given the slow-down in property demand back home and growth potential seen in the Johor region. They also prefer building huge "township-style" projects. And Iskandar can offer large tracts of land. 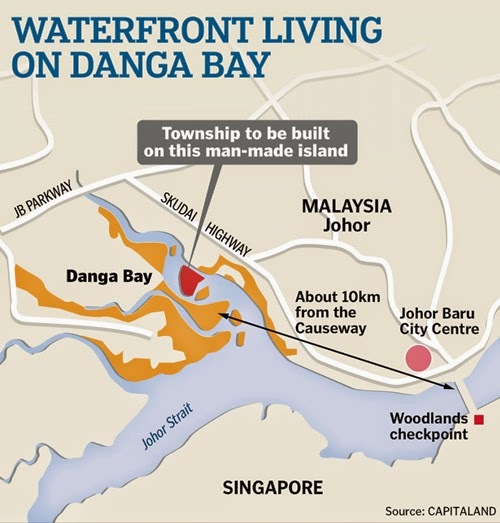 A total of 5 mainland developers are already present in Iskandar. They have about 150ha of land, with a further 2,000ha to come via reclamation. Three companies have already announced projects that will yield at least 13,000 homes by end 2017. While launches in the recent years by Chinese developers have targeted mainly Malaysians and Singaporeans, there are increasing interests in Iskandar properties from mainland Chinese customers. The Malaysia"My Second Home" scheme, which allows long-stay visas for some foreign buyers, have attracted more than 5,000 Chinese nationals so far. This constitutes close to 22% of the total number of participants in the scheme. The hefty stamp duty in Singaporehas also channelled Chinese buyers to choose Iskandar over Singapore. The preference amongst Chinese developers for building Townships means a huge number of units per project. 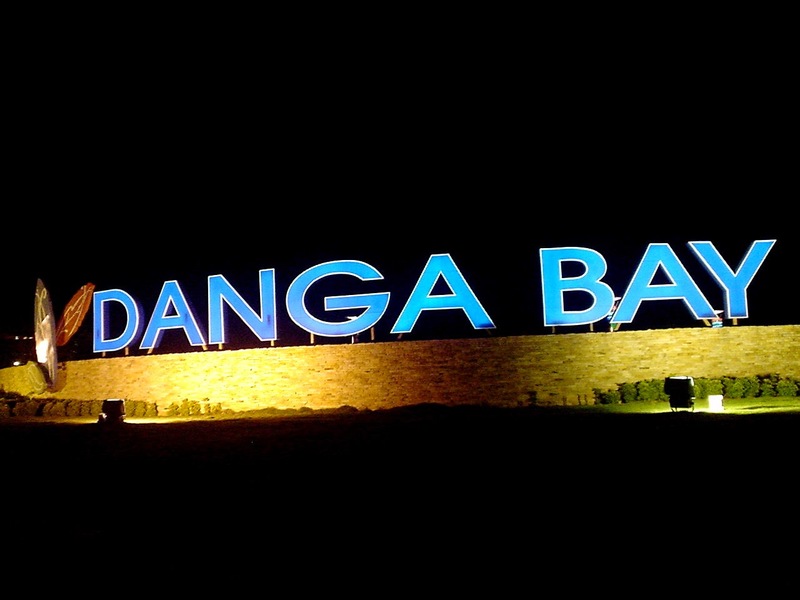 Gungdong-based developer CountryGarden launched the first phase of its Danga Bay project, consisting of 9,400 units, in August 2013. About 6,000 units have been sold at average prices of around RM720psf. About 70% of the buyers were said to be from Malaysia and Singapore. Another Chinese developer, Guangzhou R&F, has opened its Singaporesales gallery recently to showcase its latest development, which will consist of about 3,200 units for the first phase. Indicative pricing is about RM1,000psf or RM1 million for a 1,000sqft three-bedder. This put the sustainability of Iskandar in question due to supply possibly outstripping demand. So who will take up the massive supply of houses in Iskandar? Country Garden expects that Chinese buyers will make up 35% for its Danga Bay project, while locals and Singaporeans will make up 40% and 20% of the total buyers respectively. Chinese developers are optimistic that Johor will be akin to Shenzhen and the units being built would eventually be taken up. And Iskandar Malaysia, which is almost 3 times the size of Singapore, is already being positioned as the "Shenzhen" of Malaysia. Shenzhen is about twice the geographical area of Hong Kong. Iskandar Malaysiacurrently has a population of 1.6 million while Singapore has 5.3 million. Shenzhen's population is a whopping 11 million while Hong Kong has 7.2 million. Even developer themselves have acknowledged that there could be an oversupply in the short term. This is because the Johor and Singaporepopulations do have an upper limit, which will soon be reached. But they also believe that when transport links like the MRT links to Johor and the Singapore-K.L. High Speed Rail come online, the upper limit will be raised. Meantime, Singaporeans continued to pour money into residential properties in Iskandar Malaysia. This is despite the higher real property gains tax (RPGT) that buyers will have to pay starting from this year. 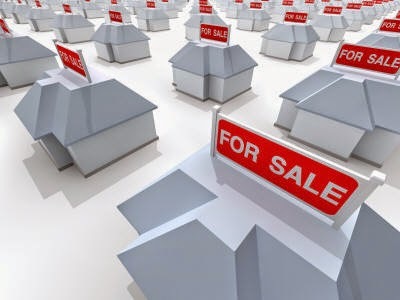 The RPGT is now 30% if a property is sold within five years of purchase and 5% thereafter. A reason for the continual strong demand offered by prospective buyers is that these properties are still cheaper than Singapore properties. Another reason could be that loans from Malaysian banks for these properties can be generous. A loan package from CIMB Bank can offer as much as 85% financing, unlike in Singapore where buyers have to subject themselves to the grieves from TDSR/ABSD. Those who have been following our blog will know our position on investing in Iskandar Malaysia. The manner in which Chinese developers have started "carpet bombing" the region with mega township projects add further to our concerns. Despite the talks about increasing number of Chinese buyers looking to invest in Iskandar Malaysia, the figure is still low compared to the amount of new housing units that will hit the market in the next 2 - 3 years. So unless the influx of Chinese buyers continue to multiply at the same time, the current oversupply scenario looks set to become worse. And whose to say that the current supply glut seen in many of the major cities within China - due primarily to a combination of over-building by eager developers and softening of demand - will not happen in Johor? If that will to happen, one can reasonably expect the Chinese developers to employ similar tactics that they have used back home to move units, i.e. drop prices. So all the "first movers" into Iskandar may end up holding the short end of the stick. But what about the expected increase in demand from both sides of the Causeway when the additional transport links go into operation? Would that not help boost demand a couple of folds? 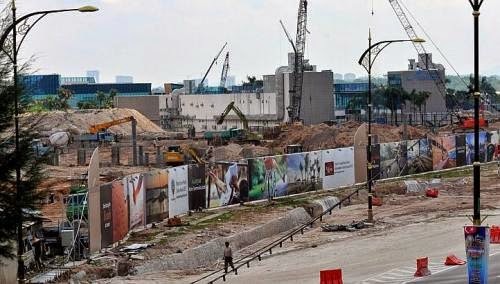 While many expect demand for homes in Johor to increase exponentially once the MRT extension/high-speed rail links come to fruition, the wife and I just cannot fathom tens of thousands of Singaporean actually moving across the Causeway to live and commute daily to work in Singapore... high-speed rail notwithstanding. Not unless 16 September 1963 happens all over again, which (at least to us) is improbable. Some may say that the wife and I are worrying a tad too much. Others may even call us wet blankets. Whatever the case, we are definitely giving this a miss... for now at least (never say never), irrespective of how cheap/affordable Iskandar properties are currently compared to Singapore. No Comment to " Iskandar - Chinese developers' next pot of gold? "